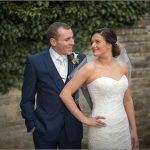 Onto Emily and Roberts wedding at Billesley Manor at Stratford Upon Avon In Warwickshire! I have known Emily for a number of years as she is a wedding co-ordinator at a wedding venue! It was so lovely to get her call to photograph her wedding as she works along side many photographers and I’m really chuffed she ask myself to capture her wedding day! I had only met Robert once before they’re wedding day, but to be honest that was quiet enough ;@> as he is a really chilled out guy, it was a pleasure to meet him, his only aim was for Emily to have a wonderful day, he is like a man’s man with a lovely heart! This is no mans crush, Im just saying ………..